Michael Myers is back for more blood and murder in this sequel to the original movie remake. The movie begins by giving details of how the first one ended, and then it skips ahead about one year. Myers discovers Laurie Strode, his sister, and follows her through the town. Along the way, he kills almost anyone who tries to stop him. Dr. Loomis is back as well, trying to make money on a book that he is writing about the horrors that Myers has caused. Viewers will see a connection between Strode and Myers and discover how their lives have ended up the way they have. This is one of the darker movies in the series as it gives details on how Strode and Myers grew apart and how he found out where she was hiding. From action in hospitals to outdoor killings, viewers will see a side of Myers they never knew existed. 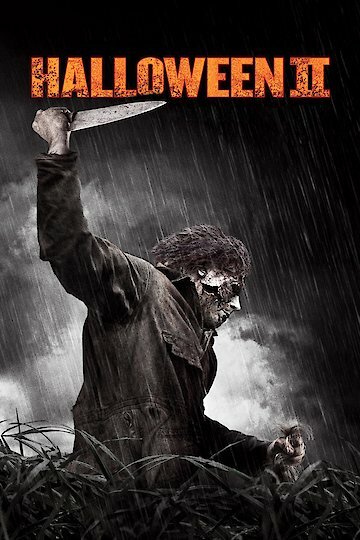 Halloween II is currently available to watch and stream, download, buy on demand at Amazon Prime, Showtime, Amazon online.